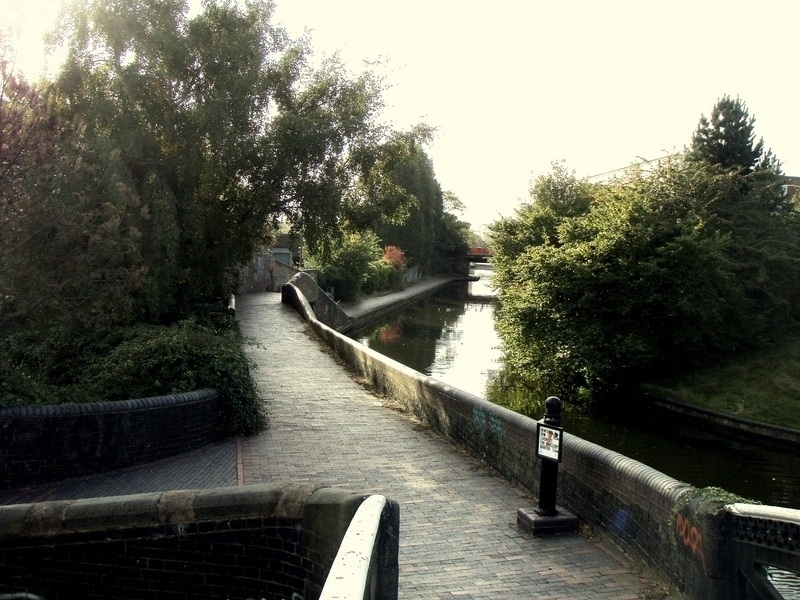 Did you know that Birmingham has more miles of canals than Venice? This low cost transport network, the equivalent of today's national motorways, fuelled the industrial revolution. Most are now quiet back waters, linear arms of the country that penetrate deep into the heart of the city. Never dull, the backdrop varies from rural landscapes to our industrial heritage to state of the art developments. We invite you on these walks/runs with a difference exploring Britain’s second city from a new perspective. Both this years routes are circular starting and finishing at Ackers Adventure Residential Centre. Taking in the Cole Valley Way, Stratford on Avon Canal, Birmingham and Worcester Canal, Birmingham Wolverhampton Main Line Canal and Soho Loop (26 miles only), Fazeley Canal and returning via the Grand Union Canal. They pass Sarehole Mill (inspiration to Tolkien’s Middle Earth), Gas Street Basin, home of the International Convention Centre, the award winning Brindley Place development and under the dark bowels of Spaghetti Junction. They are 97% off road with very few crossings, no stiles and probably the least ascent and descent you will do this year!! Did I mention the catering? Well the catering includes a breakfast stop, our cake competition at CP3 (26 miles only) and a hot meal on completion. Start: 0830 walkers of 26 mile course, 0930 walkers of 18 mile course and all runners. Overnight accommodation bunkhouse style (bring towel and sleeping bag) including breakfast and food (Pizza) on Friday evening: £15 + walk entry fee. There will be five checkpoints (26.2 mile) en route. Some will supply hot drinks but entrants should carry their own supplies to supplement these. IT IS ESSENTIAL TO BRING A MUG as cups will not be provided. There will be hot drinks and a meal at the finish including a vegetarian option. Entry for LDWA members is £8, non members £12 and OTD entry is priced at £15. Sportident Online Entry + £1. Cheques should be made payable to "Heart of England LDWA". SEF accepted, or for even more choice use the entry form download below. Showers and baggage storage during the event - free secure car park or for not afraid to walk a little more then its only a 5 min walk from Small Heath station. It is recommended that all participants carry a map (OS Explorer map 220 or Landranger 139 or probably best Birmingham A-Z), food /drink, simple first aid and money. Entrants are also advised to wear sensible footwear and carry waterproof clothing. The nearest train station is Small Heath. Trains leave Birmingham New Street every 30 mins on a Saturday - allow a 10 minute walk. Ackers Adventure is also served by several buses from the city centre - ring Traveline 0871 2002233 - press 1 then 6 to get through to the West Midlands Call centre. Extensive free parking is available on site at owner’s risk. Protect the waterways environment; don't damage vegetation or the banks. Be safe and aware of dangers, particularly on narrow stretches of the tow path or where cyclists may approach at speed on blind corners. Watch for concealed mooring pins, ropes or other hazards on the tow path. The risks are small but advise your doctor if you become ill within 2 weeks of swallowing canal water. Do not dive in the water even to rescue someone. Be considerate to other canal users particularly fishermen and cyclists. Please read the Health and Safety assessment included with the route description. Entrants as young as 12 may participate. All those younger than 18 must have the signed permission of a parent or guardian. Additionally those under the age of 16 must be accompanied by a named responsible adult at all times. Entries must be made on the official entry form or photocopy with only one entry per form. If an email address is not supplied a stamped addressed envelope must be enclosed to allow route description to be forwarded. Postal entries close on the 16th September 2015 or when the combined entry limit of 350 has been reached. Please contact the entry secretary for entry on the day. The postal entry fee is £8 for either event and £12 for non-members of the LDWA (cheques made payable to LDWA Heart of England). Any on the day entry will be charged at £15. The organisers reserve the right to refuse any entry and return the full amount. If the event has to be cancelled the full entry fee will be returned. If entrants cancel prior to 04/09/14 the charge will be returned less a £2 administration fee. If cancelled after 04/09/14 no refund will be given. The route will start from The Ackers Adventure Centre, Golden Hillock Road, Sparkbrook Birmingham B11 2PY, Grid ref SP096 847. Walkers 26 mile route start will be 08:00; Registration opens at 07:00. Runners for all courses and walkers for the 18 mile course will start at 0930; Registration opens at 08:30. The event must be completed by 18:00 for (10 hour time limit for the 26 mile route) and entrants must pass through each check point in the correct order. The route description will show checkpoint opening and closing times. Opening times are geared to 5mph (8km) pace from the main start at 08:00 and 8 mph from the runners start at 09:30. IF IT IS LIKELY THAT YOU WILL EXCEED 5 mph PLEASE START AT 09:30 HRS. Closing times are geared to approx 2.5 mph from 08:00. Participants must leave each checkpoint before the closing time and anyone arriving after the closing time will be retired or diverted onto the shorter course. Retiring entrants must make themselves known to the checkpoint manager and hand in their tally at a checkpoint and transport to the finish will be arranged as soon as possible. In an emergency, if the retiring entrant cannot reach the next checkpoint, they should pass their tally on to another entrant to be handed in to a marshal at the next checkpoint. A mobile number will be given on the route description for emergency use only. Under no circumstances retire without telling the organisers. No dogs, other than Registered Assistance Dogs, will be allowed on the Challenge Walk. The checkpoint marshal may retire anyone showing undue signs of stress or who has broken the rules. In all matters the organiser’s decision is final.